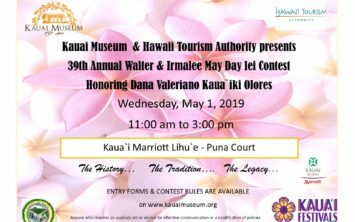 The Kaua`i Museum and the Kaua`i Marriott Resort presents the 37th Annual May Day Lei Contest honoring Irmalee & Walter Pomroy on Monday, May 1st at the Kaua`i Marriott – Puna Court, Lihu`e. Lei viewing and silent auction is from 11:00am to 4:00pm. This annual event showcases Kauai & Ni`ihau lei makers young and young at heart to enter to win fabulous prizes. 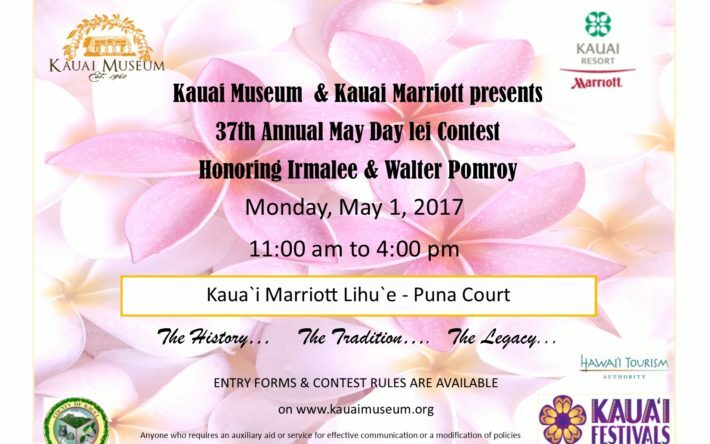 Kauai Museum May Day Lei contest started by Master Lei Maker Irmalee Pomroy and today her `Ohana continue her legacy. A make a lei table will be available at the event from 9:00am for those that want to make a lei to take with you for a minimal donation. 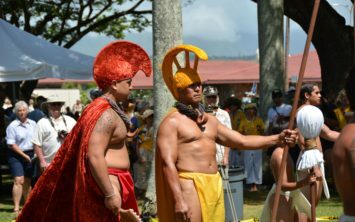 For more information or Lei Applications, call the museum at (808)245-6931 or visit www.kauaimuseum.org.